Son of the painter Jacopo da Treviglio, the exact date of Butinone’s birth is not known but is generally accepted to have been around 1450, as Salmi suggested. During his training he studied the work of Andrea Mantegna, Cosmè Tura and Francesco del Cossa, from whom he acquired the refined and expressive style characteristic of his work. Butinone’s painting also reveals the influence of Vincenzo Foppa. In addition, his elegant, expressive style was an important influence for Bramantino. Butinone’s first work from the 1480s is The Crucifixion (Galleria Nazionale d’Arte Antica, Rome), while another project from this period is a series of small panels that represent scenes from the life of Christ and which may have formed part of an altar. 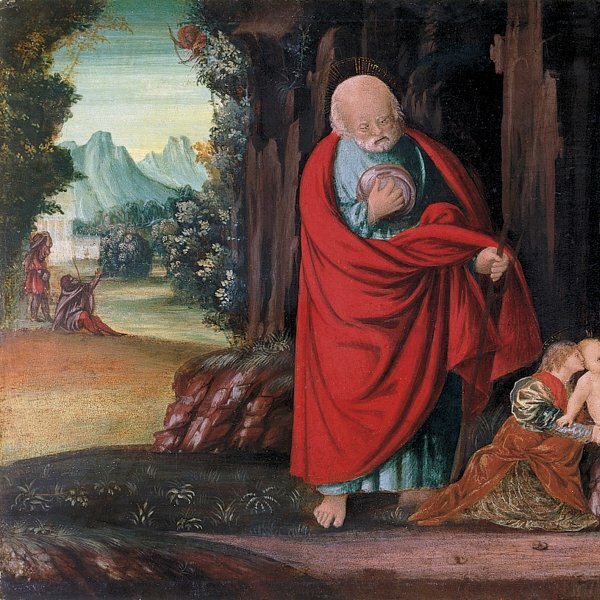 Among these paintings, which are now dispersed among various private collections and museums, are The Circumcision (Accademia Carrara, Bergamo), The Flight into Egypt (Art Institute of Chicago), and The Nativity (National Gallery, London). Butinone is documented in Milan in 1484, the period in which he painted the Carmelite Triptych with The Virgin and Child with Saint Leonardo and Saint Bernard of Siena (Pinatoeca di Brera, Milan). From 1485 he worked with the painter and architect Bernardo Zenale on the Saint Martin Altarpiece in the church of that name in Treviglio. In 1490 the painter collaborated with other artists on the decoration of the Sala della Balla in the Castello Sforzesco, Milan (now lost). At the end of his life he entered the Franciscan Monastery of the Annunziata in Treviglio and devoted his activities to the illumination of codices.